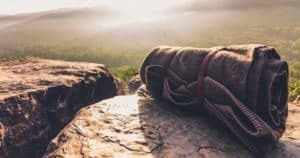 One of the biggest questions people have about camping and backpacking is, “what do you eat?” Assuming that you are going somewhere off-grid to camp, then you will be without all of your standard kitchen comforts like electrical appliances and refrigeration. Don’t worry. 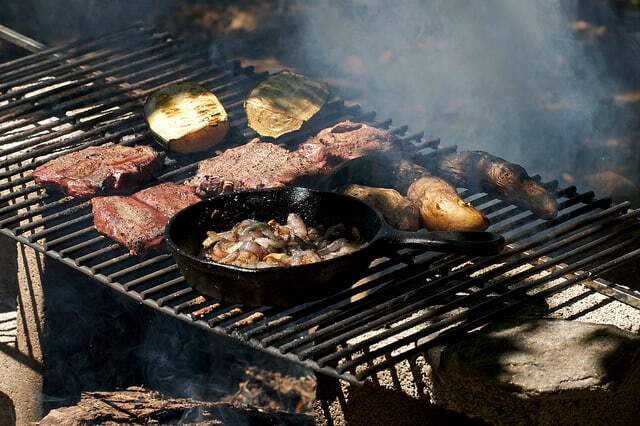 Here are some great campfire cooking ideas and tips to make amazing meals over a fire. If you are going camping with car, then meal planning is a lot easier because weight isn’t an issue. You can haul all your food to the campground in your car instead of in a backpack. The real issue is refrigeration. You can get fancy camping coolers which plug into your car’s 12volt power outlet, or coolers which are solar powered. Don’t worry if you don’t have any of this equipment though. It is completely unnecessary. For the first day’s meals, you can bring perishable foods like meat in a cooler. 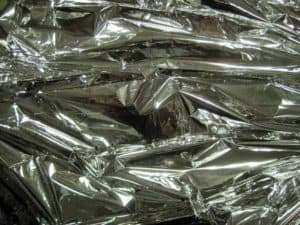 Meat can be cooked over a campfire on a grill rack, on skewers, or in tinfoil packets with other ingredients. Don’t plan on cooking raw meat after the first day. Even in a cooler, the raw meat can quickly go bad. 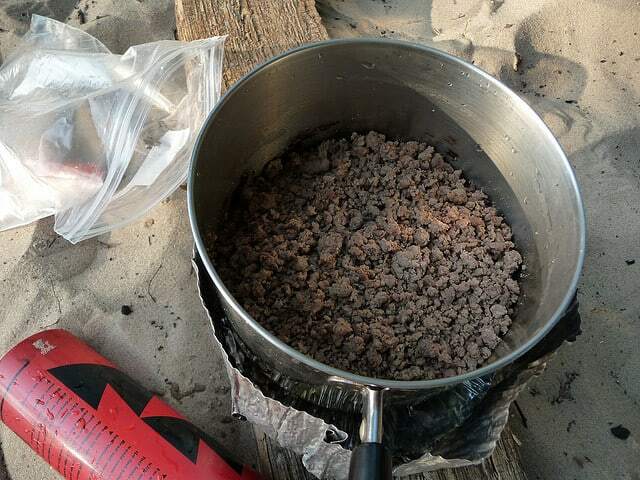 ***Remember to bring seasoning packs for your campfire meals or they will be pretty boring! Veggies like peppers, zucchini, and corn will hold up for days without refrigeration. These also taste great when grilled over a campfire. I don’t really like bringing bread camping. It gets squished and real bread (the whole grain kind) goes stale rather quickly. You are better off with crackers, spaghetti, or rice as your carb. 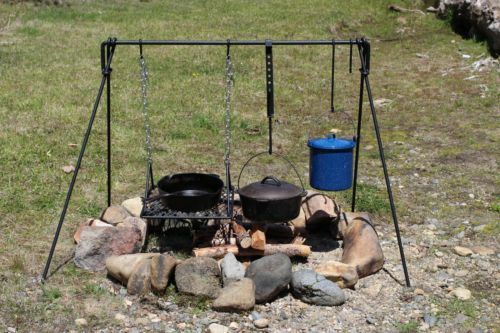 Since you are traveling by car and weight isn’t an issue, then you can bring along campfire cooking frames and stands. 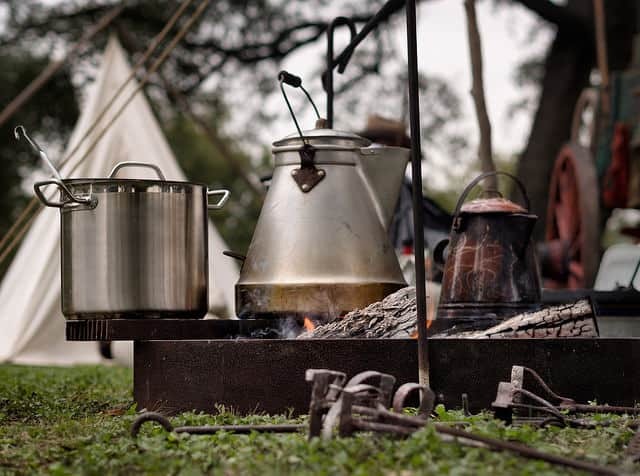 You use these to hang your pots and pans over the campfire. Again, don’t worry if you don’t have this equipment. You can always fashion a stand out of branches. Campfire meals don’t have to be complicated. 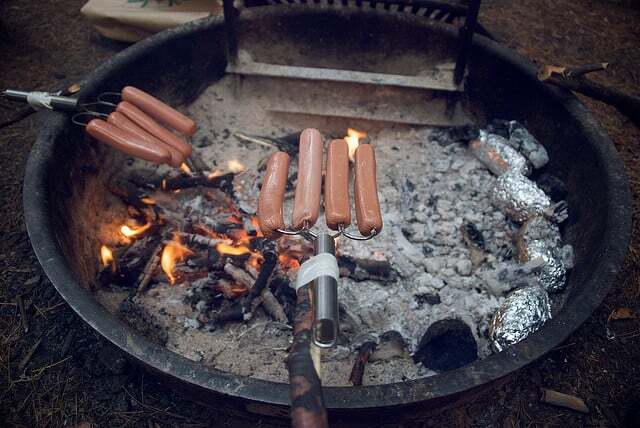 There is nothing like roasting hot dogs over the fire! 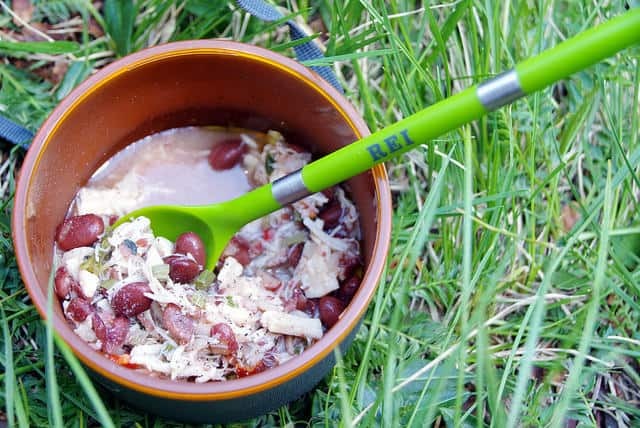 You need lots of protein when camping, especially if you are doing hiking. Make a simple protein-packed stew out of a pouch of tuna and can of beans. Chopped scallions and red pepper give it flavor. 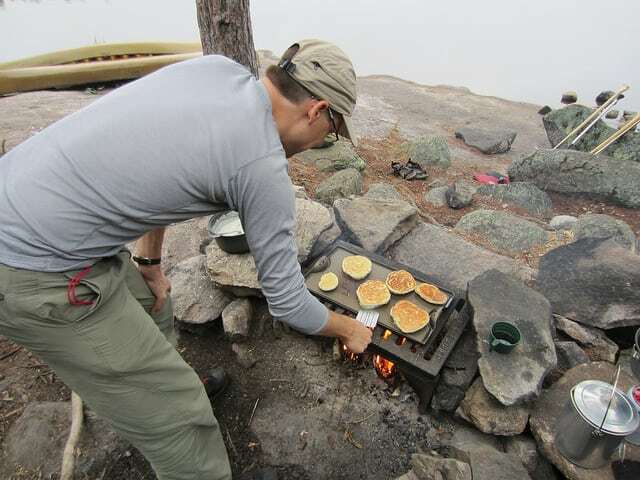 My dad always made us pancakes when we went camping, and it is one of my favorite memories from childhood. Just get a box of pre-made pancake mix which doesn’t call for eggs. If the pancake mix calls for milk, you can bring powdered milk. *remember to pack a little bottle of oil or make sure your pan is really non-stick! Eggs while camping? Yes, it is possible. 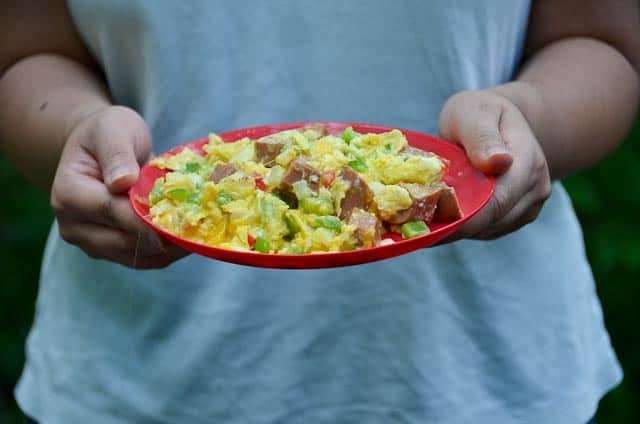 There are a few ways to bring eggs to a campsite. The first is to get one of those plastic egg-storage containers so the eggs don’t break. Eggs can last for a week (or even more) without refrigeration. Or you can pre-crack the eggs into a water bottle, but the eggs will only last 1 day without refrigeration this way. The 3rd option is to use dehydrated eggs, which admittedly do taste a bit spongy but are great for longer camping trips. 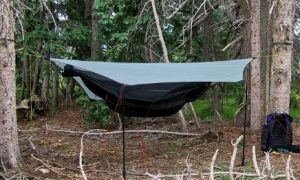 Read more about how to bring eggs camping here. 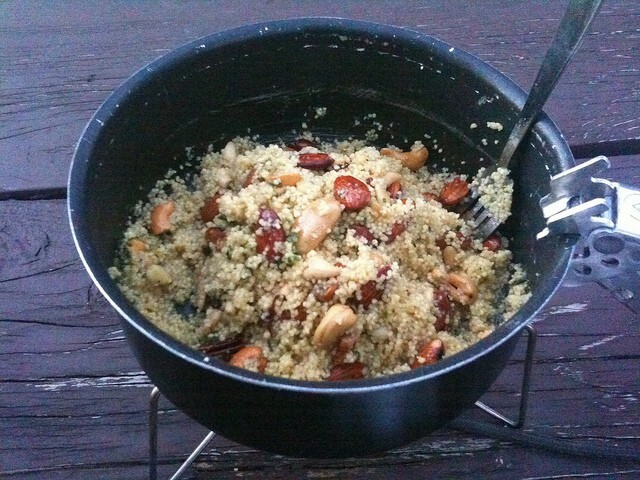 Here is another protein-packed campfire meal. 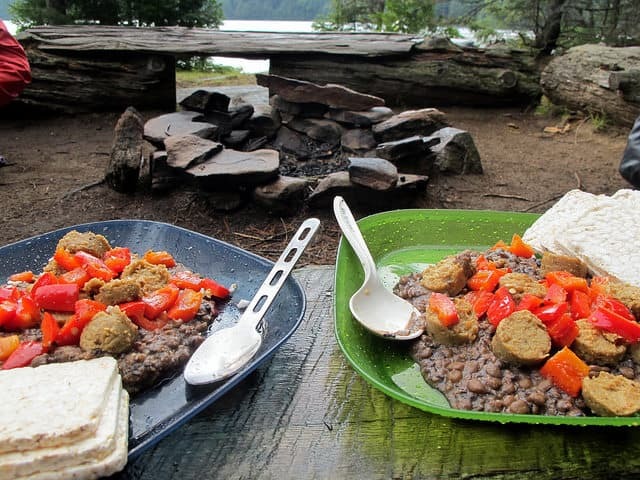 I love lentils when camping because they cook up really fast (compared to beans at least). Serve with bread or rice cakes, which last longer before going stale. Meat and veggies taste even better when grilled over a fire. Don’t forget the onions! If you have a cast iron pan, you can make really good onions in it. I go backpacking with my wife and daughter. 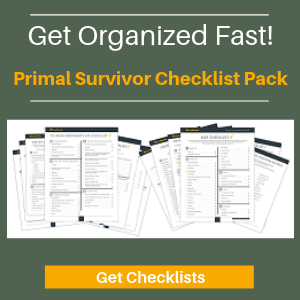 Since all of our supplies our on our backs, every ounce matters. 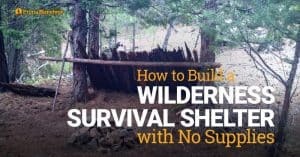 I’m not about to lug a campfire cooking stand, a bunch of raw meat, and fresh veggies up a mountain! What’s the solution? You find lightweight foods. This usually means dehydrated foods. You probably already know that you can dehydrate foods like peppers, tomatoes, mushrooms, greens, and meat (aka jerky). But did you know that you can also dehydrate foods like refried beans and tomato sauce? I love this website called Backpacking Chef. The guy comes up with all sorts of cool ideas. 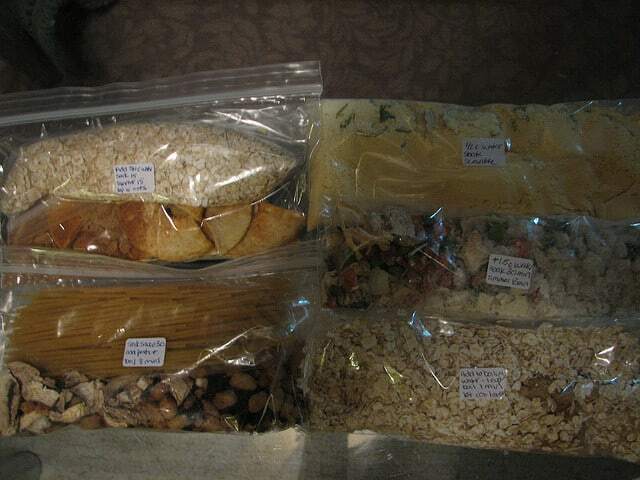 To prepare my backpacking meals, I dehydrate a bunch of ingredients in advance. Once I’ve got all my ingredients ready, I put them into baggies. 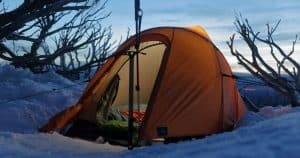 Here are some more ideas of what you can eat while backpacking. No, this doesn’t look too pretty – but it tastes great when you add in some seasonings and dried tomatoes and peppers. Couscous is a Middle Eastern food. It is actually made out of wheat. The reason that I love it is that it cooks in just 2 minutes. 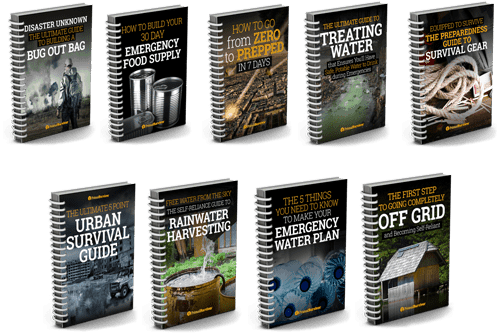 If it is raining and you’ve got to cook on your cooker, it won’t take much fuel to make it. To make couscous more substantial, I add dehydrated tomatoes, peppers, and kale to it, plus a lot of seasonings (like parsley and cumin). I also dehydrate hummus and serve it on the side. My daughter likes to take nuts from her trail mix and put it on the couscous too. 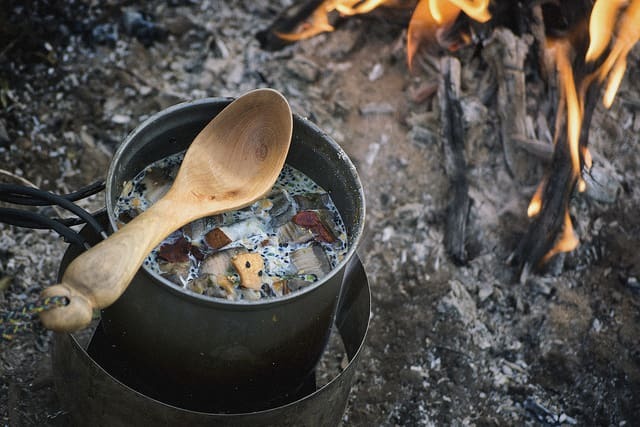 Soups and stews are great backpacking food to make on the campfire. Just dehydrate all of the ingredients and they will rehydrate into the soup. I am a bit lazy with backpacking soups. I just get some instant soups from the grocery store and then add noodles and some dehydrated veggies to them. For protein, you can eat some cut-up sausage along with the soup. The soup shown is a bit more “gourmet” – dried porcini mushrooms with miso and Asian noodles. What do you eat when camping? Share your tips in the comments or join the discussion on Facebook.